Australia’s fuel supply security. All is not what it seems. TENSIONS in the South China Sea over recent weeks have again thrown the spotlight on Australia’s fuel supply security. Retired Air Vice Marshall John Blackburn, who has produced major reports on the issue for the NRMA, went so far as to say Australia’s entire food, medicine and water distribution was hanging on a “just in time” approach to transport fuel supply. What he means is that with Australia’s strategic fuel stockpiles as low as 34 days and more than 85 per cent of refined fuel imported, predominantly from Asia, any major disruption would be bleak. Australia has closed four refineries since 2003 and the trend to importing from Asia, where huge facilities are far more cost-efficient, is unlikely to stop. 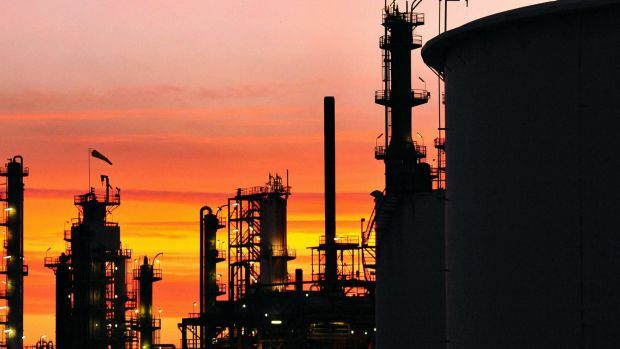 Engineers Australia told a Senate inquiry in 2015 that the country’s total stockholding of oil and liquid fuel amounted to two weeks of supply at sea, 5-12 days’ supply at refineries, 10 days of refined stock at terminals and three days at service stations. The Australian Government has agreed in principle to produce a plan to add 40 days of fuel reserves, due for release later this year. For farmers, this will need to address concerns including the location of the stockpiles – if storage increases but there’s still a reliance on road transport to get the supply to regional areas, what are the implications? Mr Blackburn told the ABC getting fuel stocks to where they’re needed is key – and it’s a process heavily reliant on fuel supply. “What’s important is what type of fuel you’ve got and where, because we can’t move fuel around Australia readily,” he said. Fuel shortages, we’ve been here before. Recent history shows it doesn’t take much to cause regional fuel shortages and a major headache for farmers. In 2012 Victorian farmers in Gippsland and other regions weren’t able to buy fuel at harvest time due to a refinery issue. In 2013 Melbourne, Sydney and Brisbane and surrounding regional areas were hit by shortages when more than 100 Cootes Transport tankers were grounded. In 2014 diesel was unavailable from 124 sites across Perth and regional WA because a shipment of imported diesel was held up for quality testing after it showed discoloration. In the air, Melbourne airport faced the prospect of rationing in January 2015 due to a delayed shipment of jet fuel, potentially grounding air transport from the hub. In the same year industrial action caused disruptions in Queensland in May, when the Maritime Union of Australia briefly blocked entrance to the Caltex refinery at Lytton in a rally after tanker ship job cuts. WHEN grain grower Corey Blacksell worries about fuel supply, it’s industrial action that is one of his biggest fears. “I do see fuel security as a big risk,” he says. “The more imminent issues are industrial issues – it wouldn’t take many boatloads of fuel to be delayed to cause major disruption. Regional conflict – not necessarily involving Australia- is also a concern, with major shipping routes travelling through the increasingly tense South China Sea region. The United States and China are locked in a struggle over navigational freedom, with Malaysia, Brunei, Taiwan, Vietnam and the Philippines weighing in. A conflict could interrupt supply through blockades on the lanes, but also by forcing Asian countries to reduce their exports to bolster their own emergency fuel holdings and feed increased defence force needs. There’s also the potential that because Australia doesn’t have its own flagships, threats to foreign crews could lead them to abandon risky routes. The NRMA says even a 20-40 per cent cut in the fuel supply would lead to a situation where communities would quickly start running out of basics like food and medicine and the transport-reliant economy would start to shut down. What happens in a fuel emergency? Suppliers say it’s still very unlikely Australia would need to enter a state of liquid fuel emergency. However if a national supply emergency was declared, essential users including Ambulance services, corrective services, fire and rescue crews, police and public transport services would have priority access to fuel. Rationing would apply to all other users. The Australian Institute of Petroleum puts the onus back on industry to take precautions. For business owners, this means considering options like increasing on-site fuel storage. “Many large fuel users only hold limited stocks on the expectation that stocks will be held by fuel suppliers, or indeed governments will intervene to protect their interests if supplies are limited,” they say. The institute recommends making a careful analysis of fuel usage to inform a plan of what to do if supply is disrupted. A fuel management and refuelling system and can help inform this type of strategy by providing up to date data on your business fuel use including detailed figures on consumption, seasonal variations and where the most fuel is being used. Improving storage capacity by going with higher capacity tanks, or buying relocatable tanks that can be filled and placed in key work areas in times where disruption is a risk, are other options worth considering. For help with creating a strategy, ask the expert engineers and technicians at FES Tanks for a free consultation.